ALLIGATOR<sup></sup> All-Purpose Wall Anchors may look like ordinary plastic plugs, they function very differently to hold more weight than most concrete anchors and masonry anchors made out of metal. 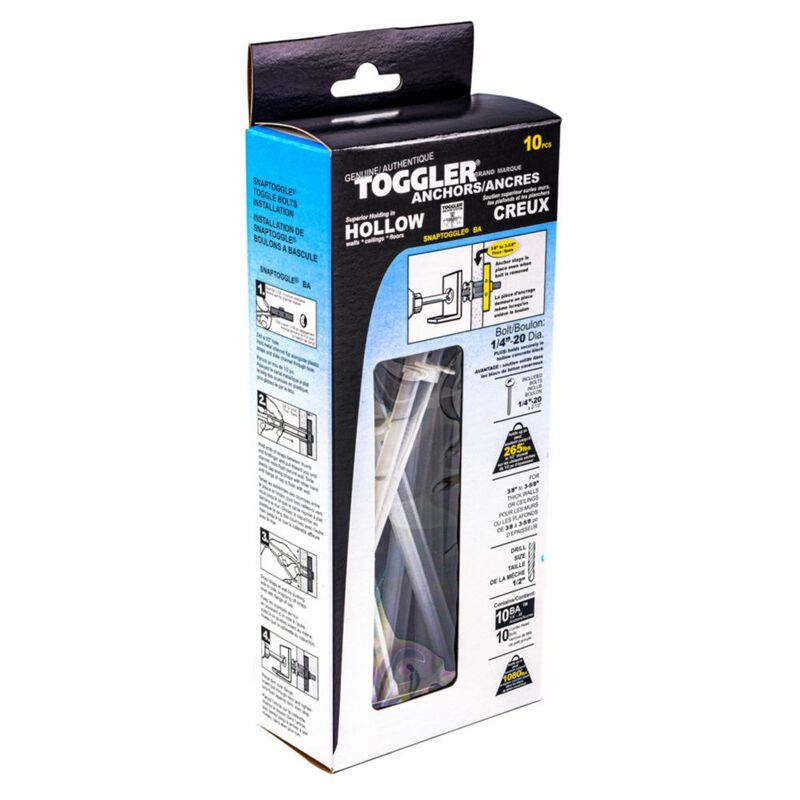 The toggle bolt is a spring wing type hollow wall anchor designed for use in block, and Drywall. The toggle bolt is a two-part assembly consisting of a machine screw and a spring wing toggle. 1/4 Inch. Toggler Anchors - 10pk Our SNAPTOGGLE<sup></sup> anchors get their name from their speed and ease of usethey work in a SNAP!